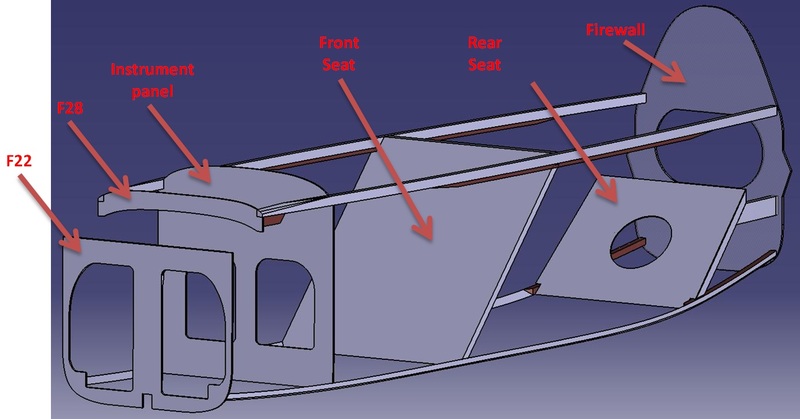 The bulkheads of an aircraft give the structure stiffness and rigidity. They are also used as attachment points to other critical pieces. The Long-EZ has 6 bulkheads (outlined in orange in the picture below). The F22 and F28 bulkheads serve as canard attachment points. The F22 has a 'doubler' on the aft face for reinforcement. 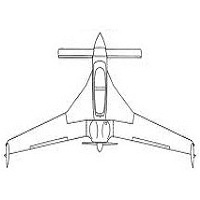 They are referenced by their fuselage station (22 inches and 28 inches aft of the datum). The next bulkhead further aft is the instrument panel. The pilot sits with his or her legs through the cutouts shown below. The next two bulkheads are the front and rear seat backs. The whole in the rear seat allows access to a small baggage compartment in the back. Although they are flat, cushions are later custom-made to give the pilot and passenger a comfortable fit. Lastly, there is the firewall bulkhead. All bulkheads (with the exception of the firewall) are made of a foam-core fiberglass structure. Chapter 4 in the plans give detailed instructions as to which foam to use and fiberglass orientation for each layup.